Three years ago, we set a goal of saving money in order to travel to Mexico to visit a family of friends. At the end of last year, we made the decision, made our plans, and paid the fares. 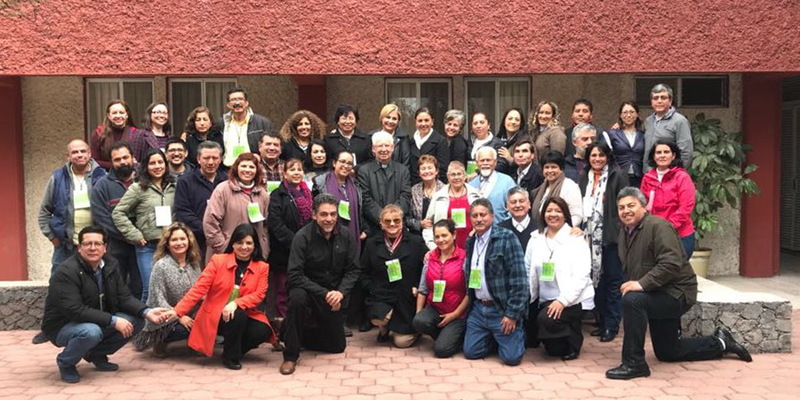 We communicated with our National Coordinators in the Ministry of Hope, Gustavo and Sandra Cortázar, who sent us a contact in Queretaro, Mexico, from people who had asked for information and material to begin the Ministry of Hope in that diocese. What began, as a simple trip became an adventure and service. 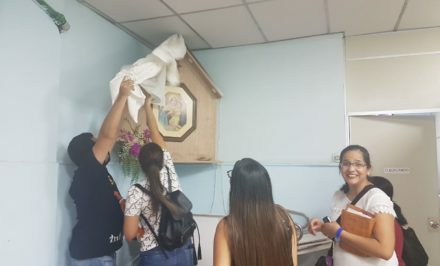 A service of the Schoenstatt Movement from Paraguay in founding, reaching out. We got in touch with them and that is how the exchange of emails began. We are the diocesan coordinators of the Ministry of Hope for divorced couples in a new union in the Encarnación Diocese, in southern Paraguay. In Querétaro, Mexico, Ma. 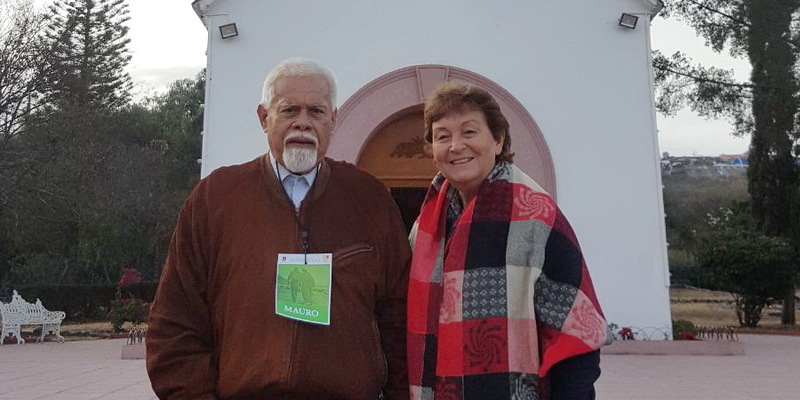 Del Carmen Vázquez and Antonio Duarte, members of the Family Branch and consecrated couple, are the diocesan leaders of Ministry of Hope. Once we decided we could travel, and we looked at our time available and economic considerations. We let them know we would come in February, and that we would like to visit with them. Antonio and Ma. 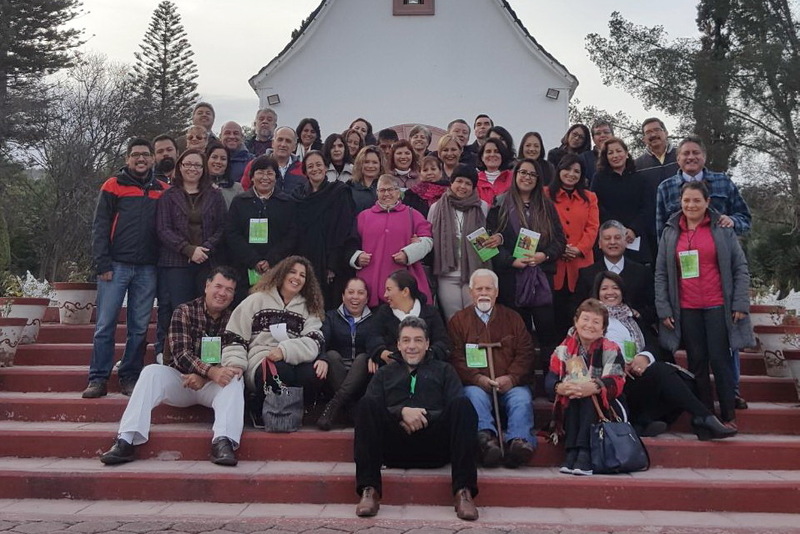 del Carmen asked us if we could support them in a Schoenstatt retreat to strengthen the beginning of the diocesan Ministry of Hope in Querétaro, on 10, 11 February. We immediately confirmed our participation and collaboration. On 4 January they sent us the agenda, and we were asked to develop to topics. We adapted our trip in order to be in Querétaro beginning on 9 February to formalize and clear up the final details of the great event. 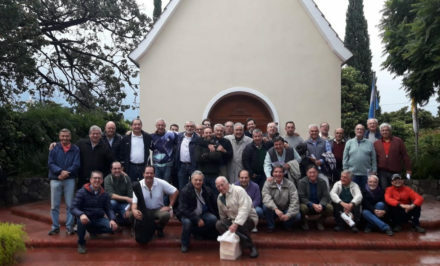 The retreat participants did not belong to Schoenstatt, although some of them already knew about the Movement. 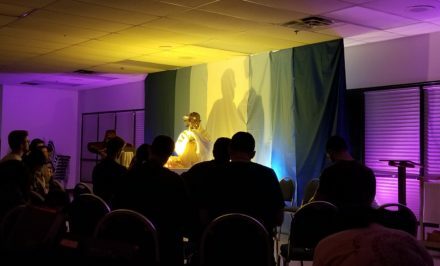 They were from diocesan parishes, forty-six people in total, divorced couples, who had remarried, one separated person in a new relationship, and consecrated couples. 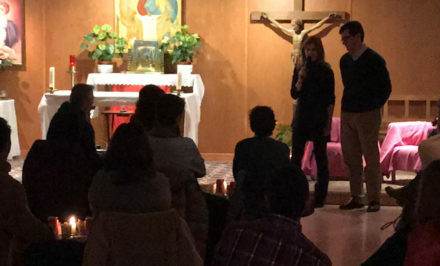 The general objective of the retreat was for the participants and their children to find, experience, and to feel the merciful love of God the Father in their current circumstances. We also sought to make them aware of their vocation of holiness as children of God and for them to know they are really a part of the Church, worthy of God’s graces that flow in them, since their Father loves them. 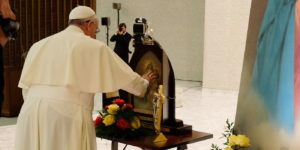 Subjects ranged from being missionary disciples in every situation of life, the message of Amoris Laetitia (The Joy of Love, Apostolic Exhortation of Pope Francis), the reality of the divorced who remarried, and the Mass as a celebration for everyone. Our first subject was about the need for personal conversion and the call to holiness that leads us to gaze on eternal life in the transcendence of our spirit, the primary objective of the life of God’s son, and missionary disciple of Jesus Christ the Lord. Forgiveness is an indispensable element for healing of the person at all times, however a person who has experienced divorce especially needs to make forgiveness a new way of life, not only to break from the past and all the negative situations and experiences, but for the correct healing of his/her person. Our objective was to train participants so they could discern their charism, see their scope and real possibilities, remove obstacles (pretexts) for not working for the Kingdom, being aware that this apostolate can very well operate within their present and previous family, that the responsibility for children is and will be forever for both parents in whatever condition, and that love is the way of integration and oneness with God. Bishop Emeritus Mario de Gasperín visited us, and he developed a very important topic regarding the Mass. The audience participated positively at all times with questions about the topic and with life testimonies that energized and strengthened the concepts. We, along with participants, organizers, and everyone, left with a positive balance. What we gave in Mexico, we gave with love. Our participation at the Querétaro retreat is a small tribute to the Blessed Mother, who embraces and shelters us every day of our life. 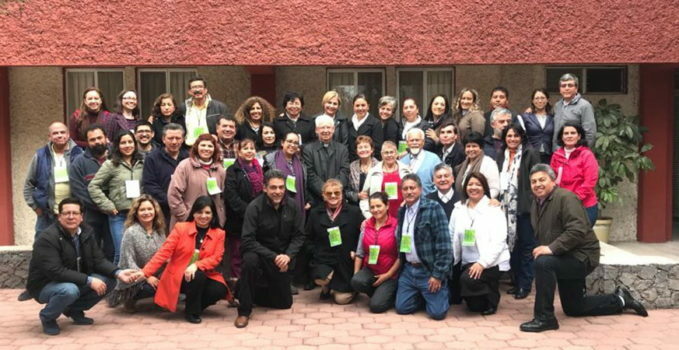 However we received the greatest gift upon returning to Paraguay and almost had this article ready that we had promised, because this day, 12 March 2018, our friends from Mexico informed us that two new groups of the Ministry of Hope had started in Querétaro’s neighboring parishes.